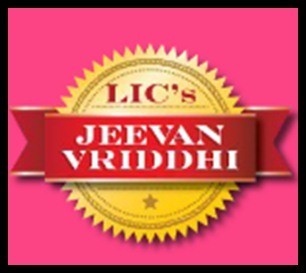 Jeevan Vriddhi is a 10-year single premium plan from LIC especially designed for investors with irregular incomes or those who have higher probability of missing the premium payment.On maturity this plan offers guaranteed maturity sum assured and loyalty additions. 35 year Mr. Atharv, who works in a private bank and draws an annual salary of Rs. 4.5 lakh, had invested Rs. 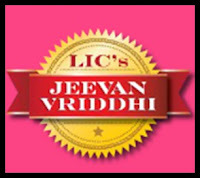 1 lakh in Jeevan Vriddhi plan. After 10 years, Atharv shall get Rs. 1,97,023 as Guaranteed Maturity Sum Assured and Rs.24,628 as Loyalty Addition totaling to a corpus of Rs. 2,21,651 which is 8.3 % CAGR return. What would have been the return had Atharv opted a combination of single premium term plan and bank FD Instead of choosing Jeevan Vriddhi plan. Aegon Reliagre offers an online single premium plan offering a cover for 10 years and a sum assured of Rs. 10 lakh for a single premium of Rs. 12,180. It is intriguing is Atharv shall not have to undergo medical checkup for the aforesaid plan from Aegon. This means Atharv shall be left with Rs. 87,820 to invest in a 10-year bank FD offering a coupon rate of 9.5 %. This FD (with quarterly interest compounding) shall fetch Rs. 2,24,569 Rs. at maturity which is Rs. 2918 greater than what Jeevan Vriddhi would have offered besides offering double death benefit9than Jeevan Vriddhi). Now let’s take the income tax in the picture. For an income up to Rs. 5 lakh 10 % IT is applicable. So after tax return comes out to be Rs. 2,02,112 which is definitely less than the corpus Jeevan Vriddhi is offering. (Though Sum assured is double in case of Aegon). Had Atharv belonged to 30 % income tax slab than return on FD would be Rs. 64,452 lesser than the corpus of Jeevan Vriddhi. So morale of the story is Jeevan Vriddhi is more beneficial for investors falling in the top tax categories (20% & above) . 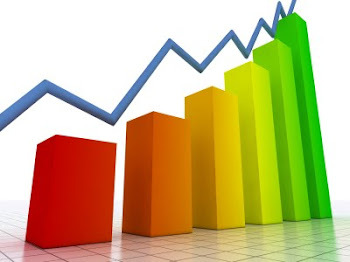 And for investors falling under income tax exemption limit it is better to go for a 10-year single premium online term plan and deposit the remaining amount in a 10-year FD @ 9.5 %(IDBI bank prevailing rate). Investors falling in 10% tax slab may invest in Jeevan Vriddhi provided they have to take benefits of the section 80 C (and have not exhausted their 80 C quota of Rs.1 lakh) .